John Griffith, CIO of Epic Imaging, Portland, Ore, says, “They asked us for it, and we had to come up with a solution.” The radiology practice provides imaging for close to 2,000 physician referrers; what they wanted was electronically delivered radiology reports sent to their practices not via fax, nor even over the Web, where they had to reside as part of some queue. The physicians wanted the reports to show up automatically in each patient’s electronic medical record (EMRElectronic Medical Record (EMR), as defined in Defining Key Health Information Technology Terms (The National Alliance for Health Information Technology, April 28, 2008): An electronic record of health-related information on an individual that can be...). They wanted to open the patient’s EMR and have the report right there waiting for them, with no staff time spent clicking links or handling paper. The physicians’ requests came in 2006. Epic Imaging had successfully gone down the electronic report-delivery road once before, but had found the cost prohibitive. According to Griffith, the radiology practice had built an interface that would allow it to send reports to patient EMRs at the Kaiser Permanente hospitals in Portland. Epic picked up overflow imaging for Kaiser and provided studies that Kaiser didn’t have then, like PET/CT, Griffith says. Building a one-off, customized interface for Kaiser, however, cost Epic about $20,000. That was far too much per interface if Epic was going to offer direct EMR delivery to its many referrers. Increasingly, though, the referrers were asking for it. Epic’s name comes from East Portland Imaging Center, the company’s progenitor that began with two radiography machines in 1964. Epic now has a vastly expanded East Portland site that includes women’s imaging and PET facilities, in addition to the main center. It also has a stand-alone center in Beaverton, a suburb on Portland’s West Side. Epic has the full range of modalities and employs about 20 radiologists, including subspecialists. Griffith says that the internal imaging volume is about 120,000 studies per year, with another 30,000 studies read for outside entities. “We have been held as the gold standard for providing service,” Griffith says, but Epic administrators knew that if they were to retain that gold-standard mark in the face of increasing competition, they would have to answer the demand for electronic report delivery. “If our customers ask for it, we can’t help but provide it, because we know they have a choice in where they can send their business,” Griffith says. Epic reads for Portland’s major subspecialty clinics and oncology practices, but hundreds of its clients are single-physician practices and small groups. Griffith says that Epic was determined to find a report-delivery system that would treat all EMR recipients equally, regardless of size. It also had to drop the interfacing cost way below the $20,000 range that Epic had experienced with Kaiser. Epic found the answer in a Plano, Tex-based software company called NeoTool that had developed what it called a NeoIntegrate health care integration engine. The NeoIntegrate software created an HL7 interface with the referring physicians' EMR systems. It could deliver radiology reports right into the patient’s record automatically. For Epic, that meant that a report would move to a patient's record when a radiologist signed off on the report. The NeoIntegrate system routed it to the EMR, with an electronic note asking the referrer's system to acknowledge receipt. “We could not have used a Web-based system because the physician would still have had to log in, look up the patient, and move the report into the chart,” Griffith says. “The demand was to get that report seamlessly into the chart with very little human interaction.” The NeoIntegrate system, Griffith says, does that. 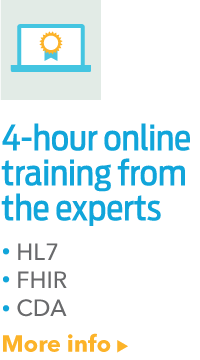 Griffith says that one reason that NeoTool was chosen to provide the HL7 interface was that it offered extensive training, including direct assistance with initial installations. Griffith sent his network administrator through the company’s training program. Installing the NeoIntegrate system is definitely not a plug-and-play situation. Both on Epic’s end and on the referring physician or clinic’s end, technical pieces had to be in place for the system to work. This meant that when an installation was done, the Epic network administrator had to do a fair amount of specific programming. The first thing that Epic had to do was adapt its own equipment to the NeoIntegrate system. Epic, by the time it chose NeoTool, was already using a Dynamic Imaging PACSPicture Archiving Communication Systems (PACS) are devoted to the storage, retrieval, distribution, and presentation of images. The medical images are stored in an independent format, most commonly DICOM. Synonyms: Picture Archiving Communication Sys...; Griffith and his technicians were able, with NeoTool’s guidance, to hijack an existing interface between the PACS and radiology information system (RISRadiology Information System (RIS) is the main application in an imaging center or radiology department. RIS is used by to store, manipulate and distribute patient radiological data and imagery. RIS are used for patient scheduling, tracking, and imag...) and reroute it through NeoTool. “We had an existing interface that was sending results from our RIS to our PACS. We redirected that results feed to the NeoTool engine, and then NeoTool forwarded the report from there onto the PACS,” Griffith says. Then, Epic constructed a rules base to tell NeoTool how to route the report to the referring physician's EMR and directly into the patient’s electronic folder. “NeoTool then became my master reports-distribution device, routing all reports to the PACS, creating a copy of those intended for the EMR, reformatting as necessary, and routing out to the respective EMRs,” Griffith explains. 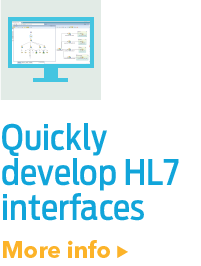 Even with the NeoTool system adapted to Epic’s internal network, the HL7 interface could not be accomplished without custom programming to suit the needs of the referring physician’s EMR system. NeoTool, Griffith says, assisted Epic with the first two such installations. From there, Epic’s network administrator has been able to accomplish the other installations without calling in NeoTool. Since there are hundreds of EMR products on the market, each one must be set up individually, depending on which one the referring physician purchases. The Epic technician must visit the referrer’s office or clinic. The effort also involves working with the EMR equipment provider. 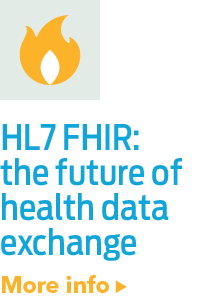 “Even if they are HL7-compliant, every interface has to be customized,” Griffith says. This is one reason that Epic’s interface with Kaiser cost $20,000. The cost with NeoTool is far below that, though still far from negligible. A key element in the process, Griffith says, is making sure that NeoTool recognizes and converts Epic’s own record-numbering system into the numbering system used by the referrer. Both those numbers are still acquired when the patient comes in for his or her appointment at Epic. This remains manual-entry work. When the NeoTool system is programmed to convert patient numbers and other data, the EMR system manufacturer may have to build in mapping tables to allow the conversion, Griffith says. Once the interface with a given vendor’s EMR equipment has been constructed for one referring physician, interfaces with other referrers who have chosen the same EMR take less effort. “We can reformat on the fly,” Griffith says. When reports are sent via NeoTool, they are transmitted using virtual private networks (VPNs) that meet HIPAAThe Health Insurance Portability and Accountability Act (HIPAA) was enacted by the U.S. Congress in 1996. Title II of HIPAA, known as the Administrative Simplification (AS) provisions, requires the establishment of national standards for electronic h... patient-privacy guidelines. “It’s a point-to-point, on-demand VPN. The VPN only exists when we transmit; otherwise, it gets dropped,” he says. To date, Epic has completed five interfaces for varying referrers, from sizable clinics to single physicians. The interfaces have involved four different EMR systems. In addition, says Griffith, about two dozen more referrers are in the pipeline for conversion to NeoTool. The ability to send reports to the patient’s individual file does require the referring doctor to have an EMR system in place. While some referrers haven’t taken that step, many who haven’t are heading that way, Griffith says. Portland, he says, has always been on the leading edge of technology adoption. Griffith estimates that 34% to 36% of Portland’s physician practices already have EMRs. The five interfaces that Epic has done have allowed it to move about 15% of its radiology reports electronically into patient charts, Griffith says. The other 85% it still sends by fax or courier, prints, or puts on CDs. “We try to accommodate individual physician requests as best we can,” he adds. From Epic’s point of view, the preferred way is now through NeoTool. Griffith says that Epic hasn’t assessed return on investment to see how quickly NeoTool is paying for itself, but notes that it has significantly cut courier and fax costs and the related staff time. His IT department has added no staff, he says. Now that the network administrator has been trained, it hasn’t even been necessary to call NeoTool when doing an interface, he adds. HL7 interfaces have costs for Epic. For each interface, NeoTool gets a $1,000 licensing fee, Griffith says. Staff time and other costs add another $1,500 to $2,000 per interface, bringing the total cost to Epic to $2,500 to $3,000 per interface. The referrer pays nothing; it’s a service that Epic provides on request. The positives, from both business and clinical standpoints, outweigh the expense, Griffith says. Clients, once interfaces are complete, will find report delivery much more convenient. That means that Epic will probably retain their business, or get more of it. There is also the factor of patient care to be considered, Griffith says. Quicker, more direct reports mean that patient care can be expedited. “From the standpoint of eliminating human intervention and becoming more solidly electronic, we improve patient care,” Griffith says. George Wiley is a contributing writer for RadInformatics.com.